I’ve never tried this approach of switching threading and treading. I sort of, maybe, understand the theory behind it but I wouldn’t’ve been able to do the troubleshooting you did, I don’t think! Fiberworks PCW is a great way to trouble-shoot. 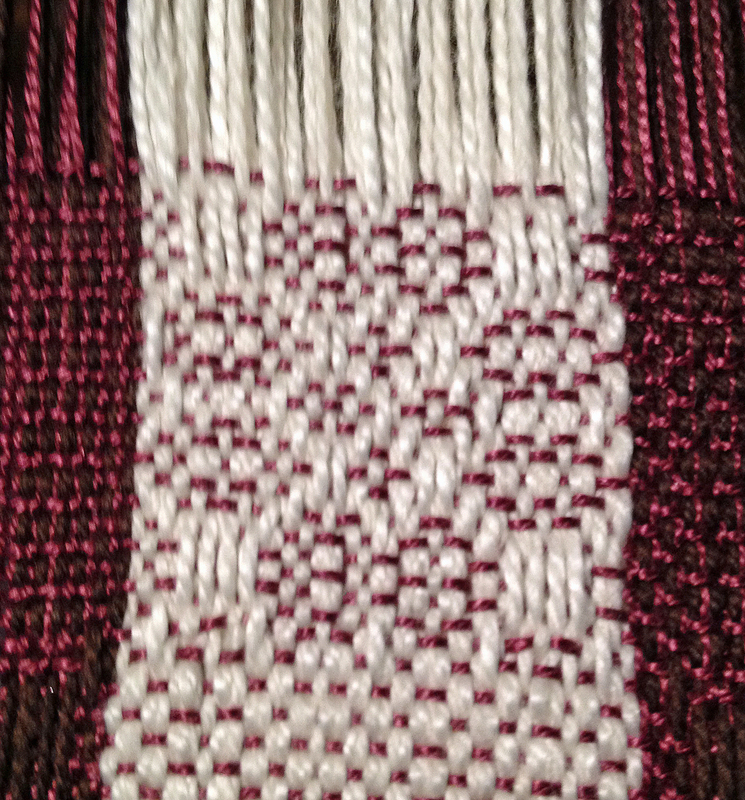 It’s the weaving program I use and it allows me to change a little thing here or there and see what happens. 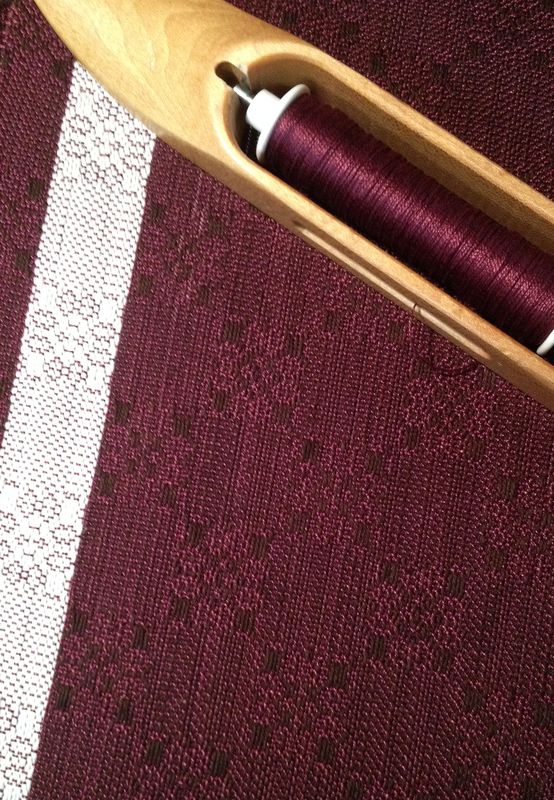 I’ve played with Fiberworks but haven’t devoted the time to it that is needed to really use it well. Maybe next year! Thanks, Barb! 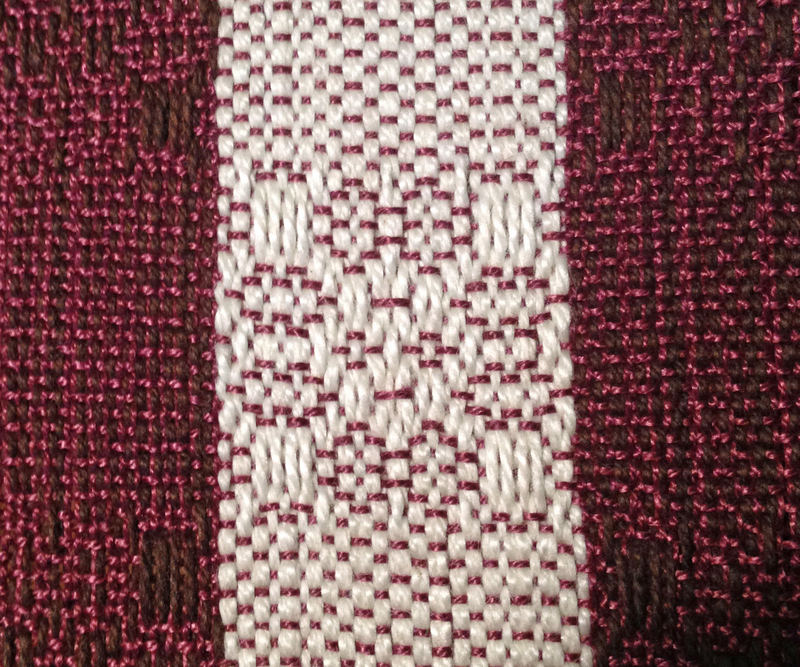 I do like the way it turned out but I will have to be more careful of skips while weaving–the density caused a number in the center.